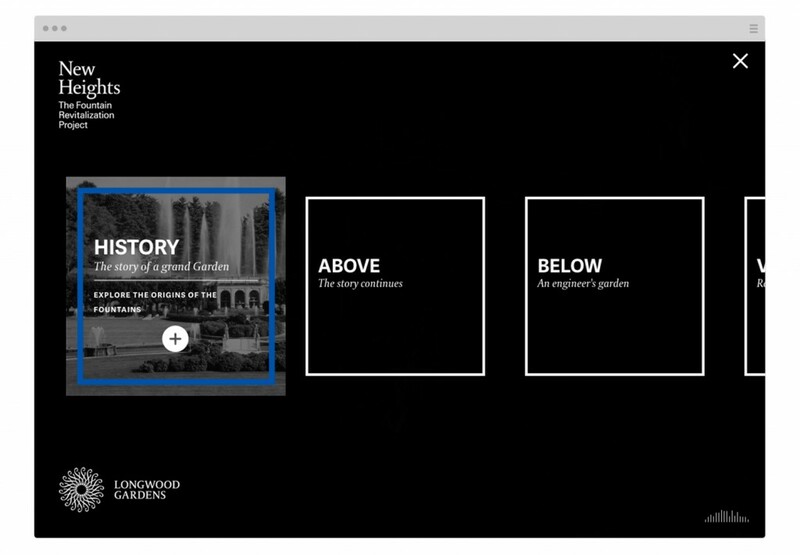 One of the most popular public gardens in the United States, Longwood Gardens inspires and enlightens their guests through design, horticulture, education, and the arts. Longwood’s renowned Main Fountain Garden (originally built in 1931) is currently closed in the midsts of a 3-year renovation. 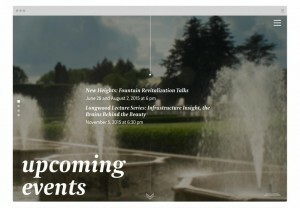 In an effort to keep the Main Fountain Garden alive during this time, we worked with Longwood Gardens to create ‘New Heights,’ an online exhibit that both honors the history of the Main Fountain Garden and allows visitors to learn more about its exciting and ground-breaking renovations. Using atmospheric and textural full-screen video, ambient sound, large archival imagery, and navigation that is designed to be unobtrusive and intuitive for the user, the website transports and immerses its visitors into the world of the fountain garden. 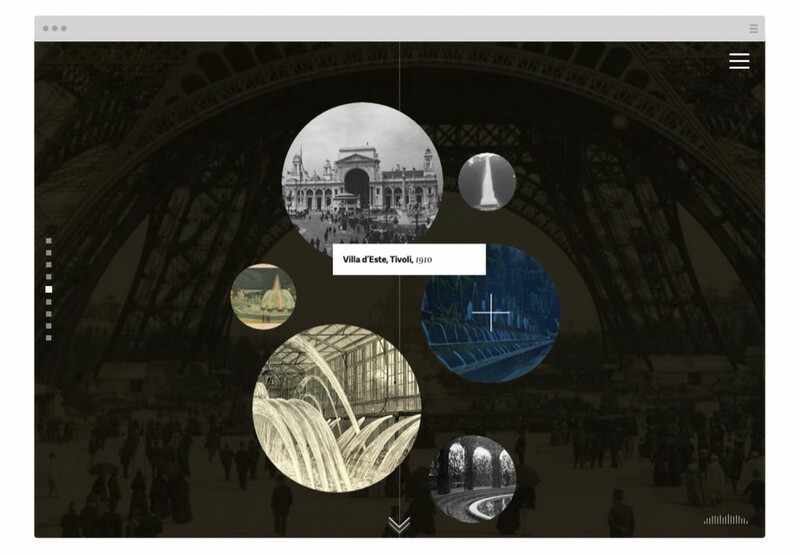 The ‘History’ section allows user to investigate Pierre S. du Pont’s original blueprints and conceptual diagrams from 1928-1931, revealing historical photos and contextual information. The ‘Above’ section invites users to explore interactive 3D renderings to learn about the components of the new garden, including stone restoration, landscaping, and lighting design. 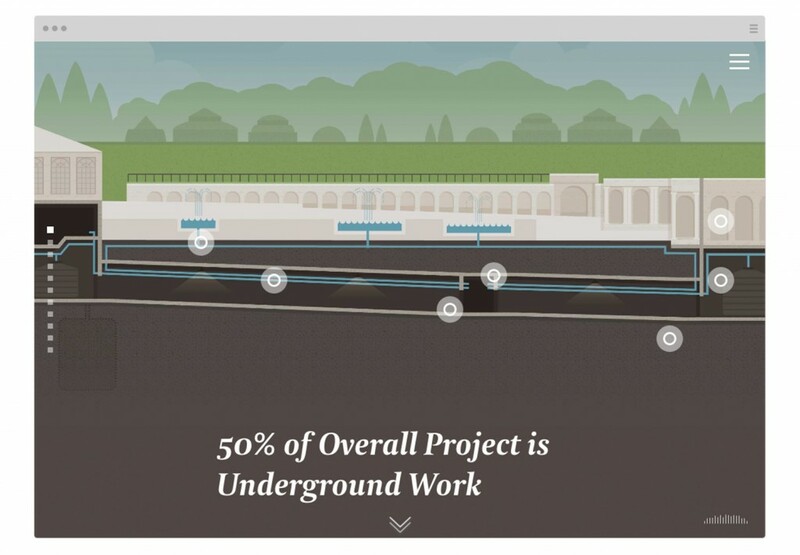 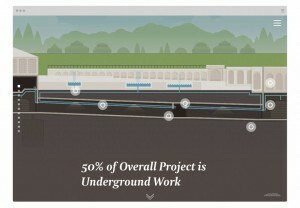 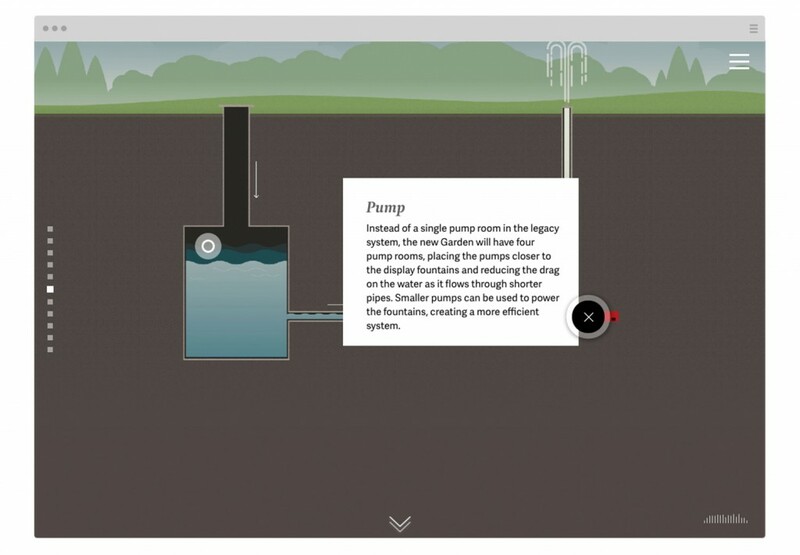 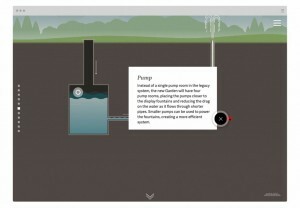 The ‘Below’ section of the site features interactive illustrations of fountain mechanics, providing users with an engaging way to learn about the feat of engineering that is the Main Fountain Garden. And the ‘Visit’ section offers users the most up-to-date news on the Main Fountain Garden, as well as updates on events. 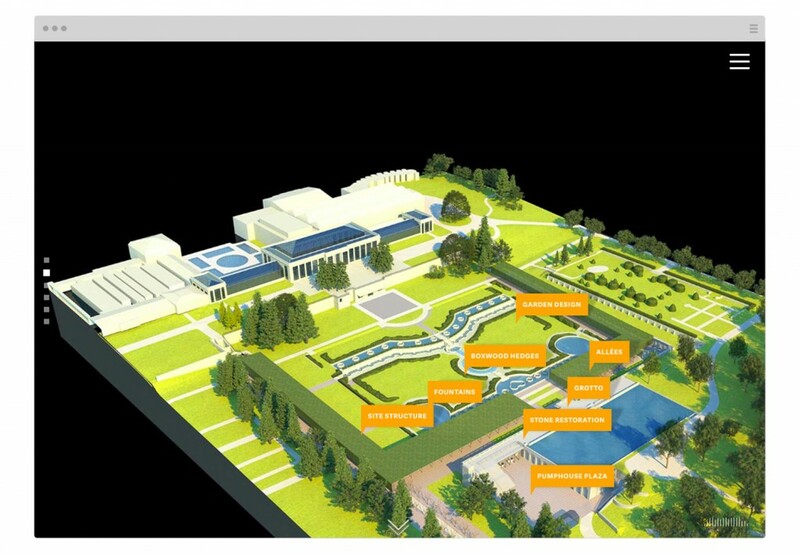 The site both showcases the awe-inspiring legacy of the original fountain garden and portrays the scope and importance of the massive revitalization project.